Home » Blog » What is Cherry Master pokies machine and how to repair common problems? 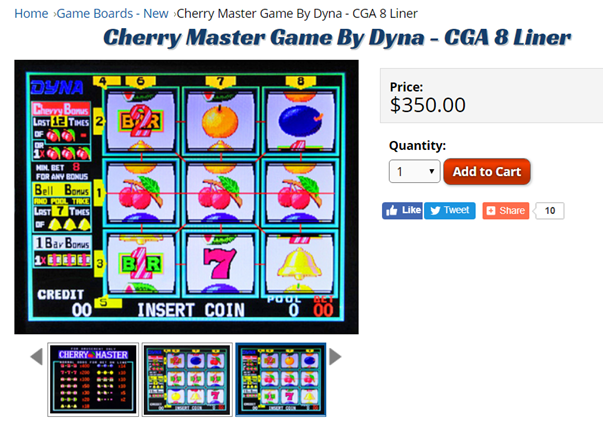 Cherry Master is very popular pokies machine which you can find on sale at many of the online sites like eBay. 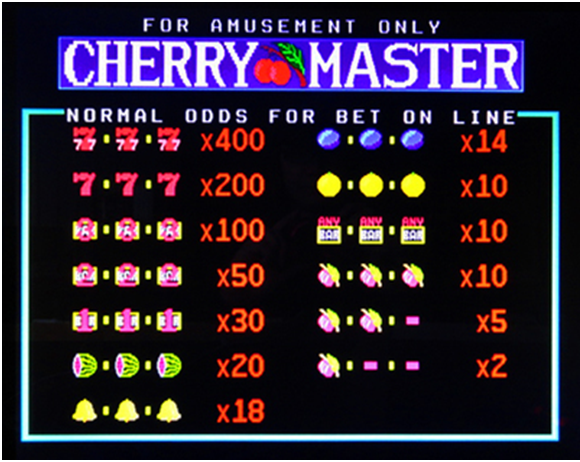 The Cherry Master is a video arcade pokies game that uses symbols such as cherries, bars and watermelons. When you enter a coin into the system you will need to line up three of a kind in order to win. Some of the well known pokies games of this category are Fast Food, Blazing Bars, Video Pai Gow, Super Baccarat, Cheers and various others. These pokies machine are developed by International Game System who is well known for arcade games. 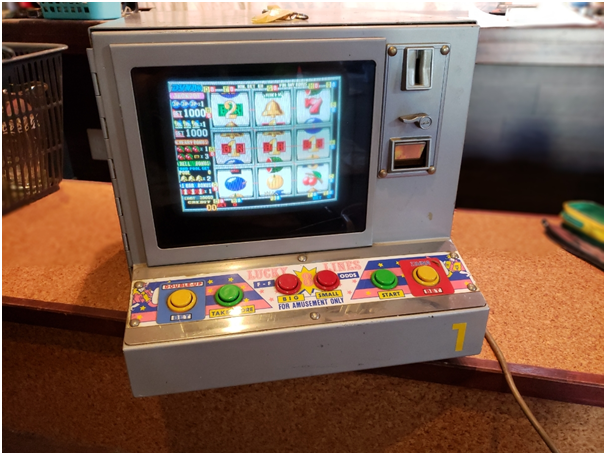 When you buy this refurbished or used pokies machine you will find that you have to face some of the common trouble shoots which you can but solve yourself without any need of a professional technician unless there is some major issue in the machine. If you find there is an issue with the payout in the machine then use your Cherry Master key to open the front door of the machine. Press the “Self Test Switch” on the process board. This board is located on the left hand side of the machine. 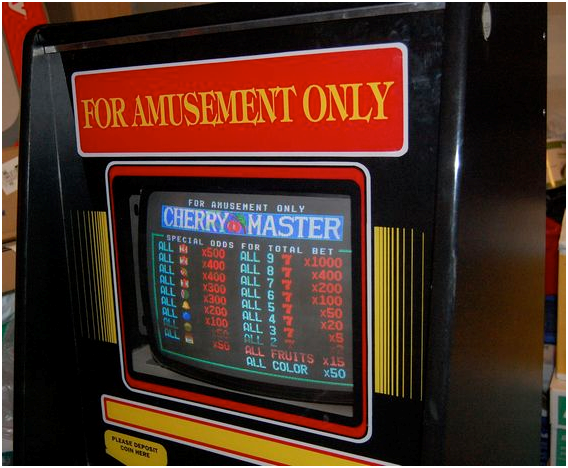 Go to the front of the Cherry Master machine and look for the number “3” on the “Coins Played” display. This will indicate that your machine is in test mode. Insert 10 quarters into the coin slot. Press the “Spin” switch and wait for the machine to pay you out. Wait for three coins to fall into the tray. This signifies that the payout is working properly. Adjust the payout as needed via the control panel’s payout controller. Open the door and press the switch again to exit out of test mode. Find the hopper on the inside of the machine. This is the metallic slide lever sticking out of the right side of the machine. Remove any jammed coins from the hopper and clean it with the moist rag so the coins will not get stuck again. Next go for the shell wheel, the motor brake and the agitator inside the unit. These are located just below the hopper. Again clean them with a moist cloth because they are not cleaned, the machine will not be able to dispense coins to the winner. To refill the payout in the machine open the door to the machine using the toggle switch at the bottom of the unit. Look to the bottom of the unit to find the hopper. This is the large metallic “scoop” inside the machine. Now add 50 to 100 coins to the hopper for a payout. Close the machine door and lock it via the toggle switch. Next plug the machine in to begin playing. If your cheery master pokies machine is not turning on then open the machine door from the toggle switch. Locate the fuse holder on the motherboard. This is located on the left hand side of the machine’s inside. Pull the fuse out of the fuse holder and replace it with a new one. Test by putting in a coin into the coin receiver. If the receiver takes the coin but does not give you a credit on the screen, contact a service representative to replace the coin acceptor. Test by putting a dollar bill into your bill acceptor. If the bill acceptor will not accept the bill, open the machine and check the bill drop box on the inside right hand side. Empty the bill drop box and try it again. Have a technician replace the bill acceptor if needed. If your cherry master pokies machines sirens or sets an alarm or the “Service Light” flicker on the front of the machine. This indicates that the machine was either tilted or there is a malfunction in the system. Call a service technician to perform a diagnostic test on the machine. This will need to replace the faulty equipment or do a hard reset on the motherboard. These machines can be found at local bars, convenience stores, social clubs and private clubs. 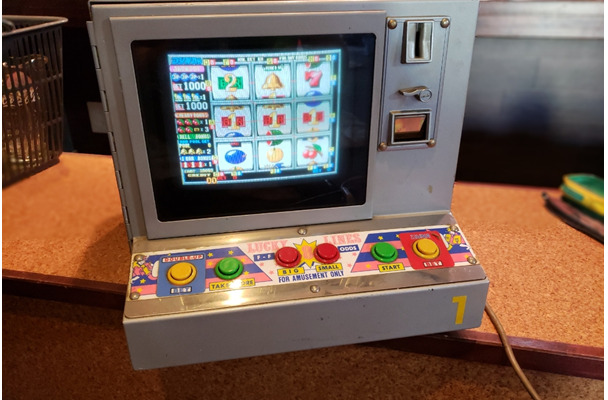 They have bill acceptors that can accept $ 1, $5, $10 and $20 bills and typically are set to give the player 20 credits per $1. As the player wins, they build credits up on the machine. The machines do not payoff in cash. The Player typically resets the credits on the machine with a knock-off switch when they quit and some machines payout tickets or print out a credit slip to the player when they quit. These pokies machines come with ticket dispensers and thermal printers which is optional. There are three sizes of cabinets. The tabletop on the right has a 13 inch screen and is made to sit on a bar. The floor models can be full size with a 19 inch screen or a cabaret size with a 13 inch screen. The unique thing is that you can easily change from one game to another simply by changing the board in the machine. There are hundreds of boards available including poker, solitare, blackjack, pokies, and many other games. These used machine and their parts are available at online shops that have pokies for sale commonly at ebay Australia.